An internationally recognised designer with over 20 years experience, Michaela has worked at some of the world’s leading brand and design agencies. Her work has won numerous local and international awards, and appeared in feature articles for Idea Magazine, IDN and Visuelle. As the co-founder and creative director of Round, a design company based in Melbourne, she is responsible for creatively leading the studio’s diverse projects. In 2008 she was named one of Design Quarterly Magazine Top Ten Creatives and in 2010 she was in the Melbourne Magazine top 100 influential people. Her work was selected to be part of an exhibition at the international symposium of graphic design in Brno: Graphic design in a white cube. Michaela is a passionate speaker at industry conferences and events throughout Australia and New Zealand and has also lectured in both countries over the last 15 years. 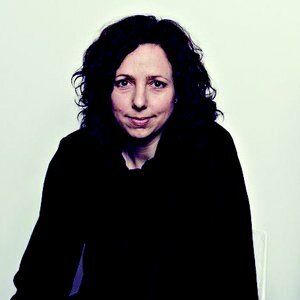 She has sat on the council for the Australian Graphic Design Association (AGDA) as joint President for 3 years and was a member of the Design Victoria Advisory Board to State Government. In 2013 she sat as the design Chair for AWARD in Sydney. She has made written contributions to Desktop Magazine, Studio Magazine, Australian Creative and Process Journal.